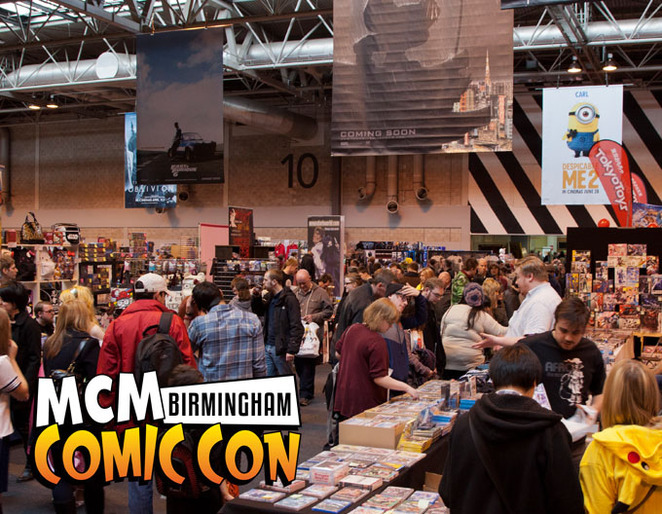 From Dr Who to Red Dwarf, Game of Thrones and Quadrophenia, the MCM Birmingham Comic Con and Memorabilia Show will be packed with celebrities. As Britain's biggest collectors' event, the two-day show at Birmingham NEC over November 23 and 24 gives fans a chance to get close to their idols of television and screen. In such an important year for Doctor Who, there will be a host of guests appearing, who have played a key part in creating one of the most-loved TV shows of all time. Fans can meet Katy Manning (Doctor's companion Jo Grant); Kai Owen (Torchwood's Rhys Williams); scriptwriter Bob Baker; Frances Barber (Madame Kovarian); Mark Strickson (Vislor Turlough); David Banks (The Cyberleader) and Nabil Shaban (reptilian alien Sil). For Game of Thrones fans, actor Josef Altin, who plays The Night's Watch steward Pypar, will be at-hand for autographs and chats about the hugely popular fantasy action series. Another highlights will be three special reunions. Actors from sci-fi comedy Red Dwarf - Chris Barrie (Arnold Rimmer); Hattie Hayridge (Holly); Danny John-Jules (The Cat) and Robert Llewellyn (Kryten) - plus also a get-together of key actors from iconic movie Quadrophenia. Phil Daniels (Jimmy); Toyah Willcox (Monkey) and Daniel Peacock (Danny) will be at the show to remember the film that was inspired by The Who's 1973 rock opera. Then there will be five of the original cast of the 1975 cult classic The Rocky Horror Picture Show signing autographs. They include Tony Award-winning Barry Bostwick, who starred as clean-cut hero Brad Majors; Patricia Quinn, who took on the role of Riff Raff's sister Magenta; Nell Campbell, who played groupie Columbia; Perry Bedden and Stephen Calcutt, who both appeared as Transylvanians in the horror comedy musical. There's even a host of stand-out actors from the James Bond movies. Richard Kiel, famous for playing steel-toothed Jaws in The Spy Who Loved Me and Moonraker is set to draw crowds, as are Bond girls Martine Beswick, Zara in From Russia With Love, Tania Mallet, who played Tilly Masterson in Goldfinger. 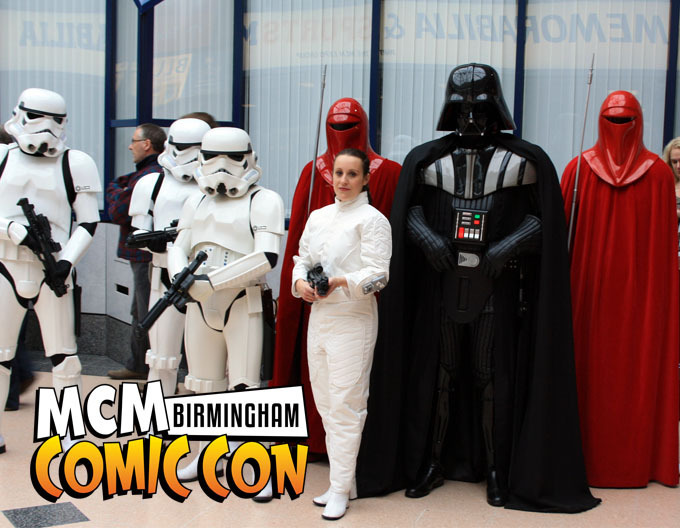 Along with celebrities, visitors also have the chance to browse stalls, buy memorabilia and enjoy entertainment, such as the Star Wars Extravaganza. And there is even the chance to see a sneak peek of next year's monster movie, The Expedition. It is set in the heart of the Amazon jungle where a research team is abandoned by their superstitious guides because they have ended up in the hunting ground of an apex predator! "The response from people out there to what we're doing has been amazing," said Ben Loyd Holmes, who stars in The Expedition. "This kind of movie is normally left to big studios but we've approached it in a new and exciting way. "We've been quite inventive, tried to do something really quite special… I cannot wait to bring the audience something that feels so real yet is just so magical." To get autographs from most celebrities, an extra fee is charged on the day. •	Richard Donat and Kate Kelton from popular sci-fi series Haven. •	Hannah Spearritt and Ben Mansfield from Primevil. •	Television and film writer Bob Baker, who has written scripts for Wallace & Gromit films and Doctor Who between 1971 and 1979. •	Patricia Quinn, best known for her role as Magenta in the film The Rocky Horror Picture Show. Other credits include I, Claudius; Monty Python's The Meaning of Life, Doctor Who and Rob Zombie's The Lords of Salem. •	Benidorm stars Sherrie Hewson, Jake Canuso and Janine Duvitski. •	Carry On favourites Fenella Fielding and Jacki Piper.